In a moment when there's nothing more valuable than a new spin on old intellectual property, flipping the perspective on a story is often perceived as the height of innovation. These spicy takes on familiar genre tales often go like this: Imagine if Captain Hook, the bad guy in that boring old Peter Pan narrative, or the Joker, the villain who torments Batman, were actually misunderstood good guys. (Pretty frickin' "twisted," right?) The Highwaymen, Netflix's new original film starring Kevin Costner and Woody Harrelson as a pair of Texas Rangers, attempts to pull off a similar trick by reframing a piece of well-worn American mythology, the crime spree of bank robbers Bonnie Parker and Clyde Barrow, as a police procedural told from the point of view of the cops who gunned them down. Given the massive pop cultural footprint of Arthur Penn's 1968 classic Bonnie and Clyde, which starred Warren Beatty and Faye Dunaway as the Depression-era outlaws, The Highwaymen is fighting an uphill battle from its opening frame. Do you want to watch a Bonnie and Clyde movie without Bonnie and Clyde? Are these officers really more interesting than the populist thieves they pursued? Doesn't the whole idea scan as authoritarian? On a less serious level, it feels like remaking West Side Story to tell Officer Krupkey's side of the story. Sure, you could do it -- but why would you? Unfortunately, The Highwaymen never gets around to answering that question in a compelling, invigorating manner. Doing his best with a less-than-gripping plot, director John Lee Hancock (The Blind Side, The Founder) at least cast two likable actors in the main roles. With his gruff voice and sturdy frame, Costner is an inspired choice to play Frank Hamer, a legendary Texas lawman (controversially) portrayed as a fool in Penn's film, and Harrelson brings his reliably playful, melancholy touch to the role of Hamer's partner, the more self-reflective Maney Gault. These are Good Dads you want in a Dad Movie that will slide next to Godless and The Ballad of Buster Scruggs on the Netflix home page. Throughout the film, Hamer and Gault are presented as grizzled, wise veterans who just aren't made for these times, specifically the increasingly professionalized, tech-obsessed law enforcement landscape of the 1930s. When we first meet Hamer in The Highwaymen, he's already retired, relaxing with a pet pig and his wife Gladys (Deadwood's Kim Dickens), but he's called back to serve his country by Texas Governor Miriam “Ma” Ferguson (Kathy Bates), the leader who initially disbanded his beloved Texas Rangers. With Bonnie and Clyde wrecking havoc and stirring up the public -- early on, the pair are described as "cold-blooded killers that are more adored than movie stars" -- the government feels the need to call on its toughest, meanest lawmen. After the obligatory hemming and hawing, Hamer and Gault spring into action. Actually, "action" might be the wrong word. Though there's a lengthy scene where Hamer strolls into a local gun store and purchases an arsenal that wouldn't look out of place in a John Wick movie, this isn't a particularly propulsive or frenetic movie. Hancock makes the choice to show some of Bonnie and Clyde's crimes, highlighting the random violence and the wanton cruelty of their activity, but these moments are all shot from a distance with minimal dialogue and their faces partially obscured. Even if the goal is to dehumanize the outlaws and turn them into larger-than-life figures, the outcome is off-putting: It feels like the Bonnie and Clyde scenes have been plucked from a high-gloss true-crime docudrama on the History Channel. You keep waiting for a professorial talking head to pop in and provide some analysis. The sections on the road with Costner and Harrelson are more effective. The two actors appear to have a genuine camaraderie, and their Grumpy Old Men routine, while hardly original or incisive, has some wit to it. "You used to have to have talent to shoot people," observes Harrelson's Gault while reading the paper at one point. (Harrelson also gets the most harrowing monologue, delivered during a late-night card game, toward the end of the film.) 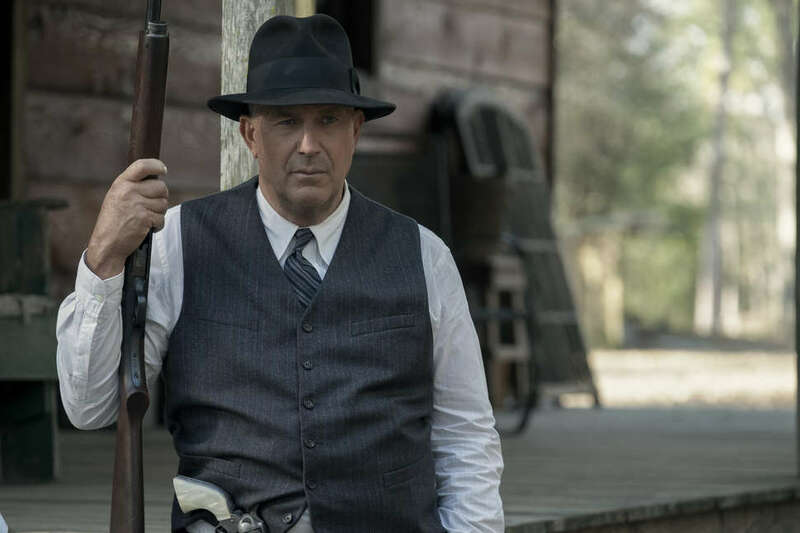 The angrier and more righteous of the two, Costner's Hamer is less conflicted and more outwardly disgusted by the Bonnie and Clyde phenomenon, especially the way the media amplifies the gang's story and turns the couple into celebrities. The movie's sneering contempt for the press, particularly in a final beat with a reporter after the killing, has a reactionary tone that strikes eerily contemporary notes. As the inevitable finale draws closer, Hancock and screenwriter John Fusco, who penned the '80s Western Young Guns and the more recent faith-based drama The Shack, can't help but scold the audience. It's an odd choice, particularly for Hancock, who wrote the brilliantly complex 1993 Clint Eastwood crime drama A Perfect World, which starred Costner as an escaped prisoner on the run. That movie had a curiosity to it, a sense of empathy and wonder, that's largely absent from The Highwaymen. 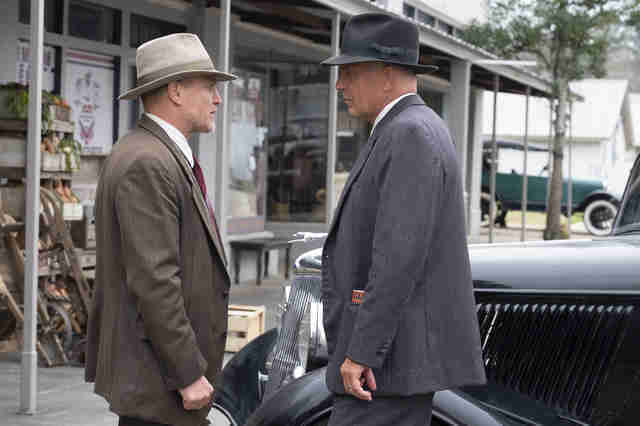 Compared to a slow-rolling but stunning Western like Andrew Dominik's The Assassination of Jesse James by the Coward Robert Ford or a more souped-up cops-and-robbers period piece like Michael Mann's Public Enemies, The Highwaymen doesn't belong on the road. It's a clunker in need of too many repairs.